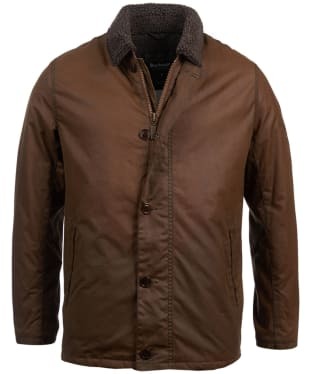 The Men's Barbour Gateford Jacket is a rugged, masculine style created with a garment-dyed cotton outer for a soft, lived-in feel and rich colour. 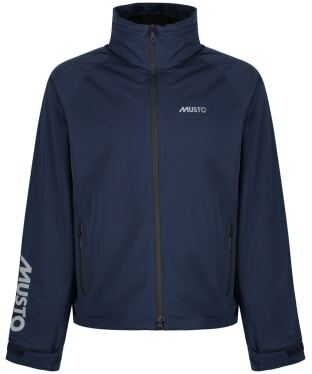 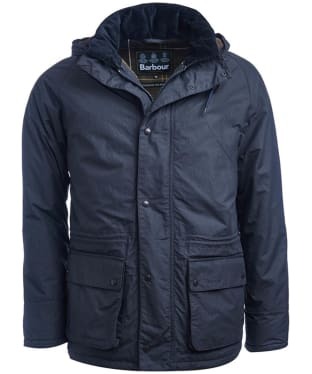 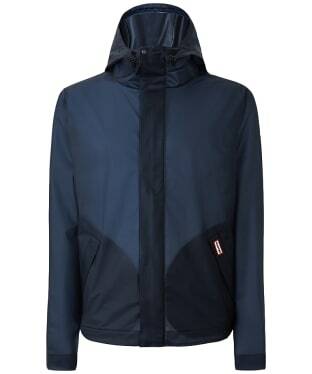 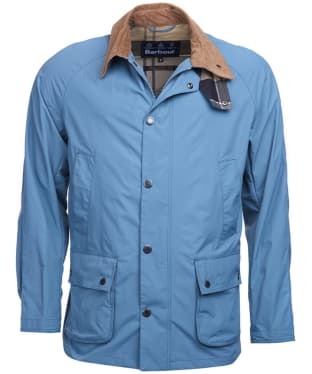 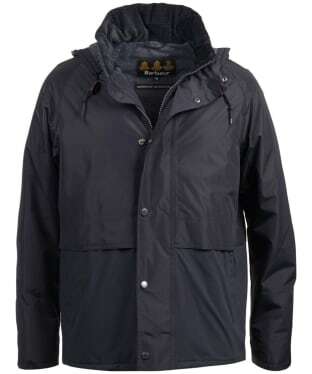 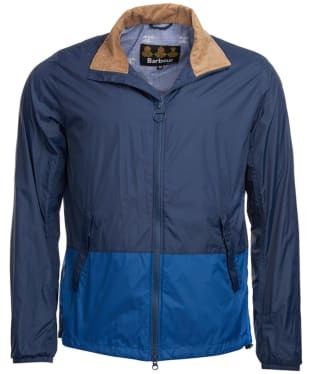 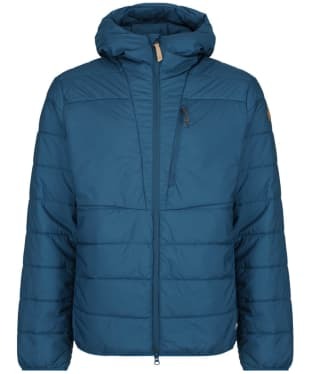 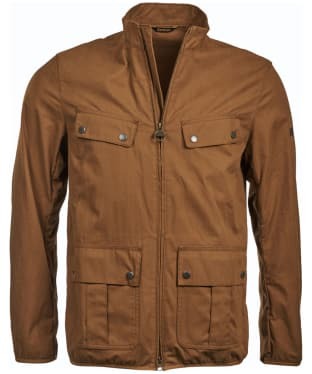 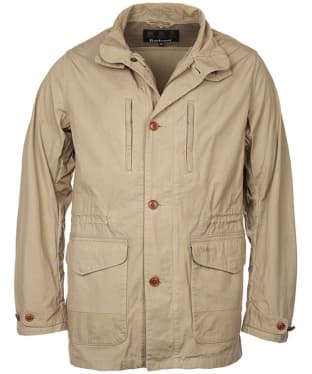 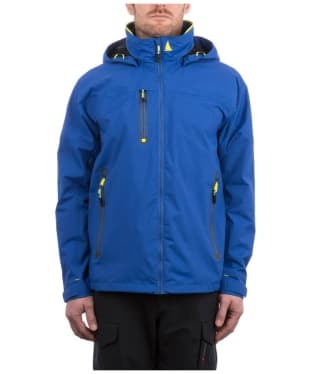 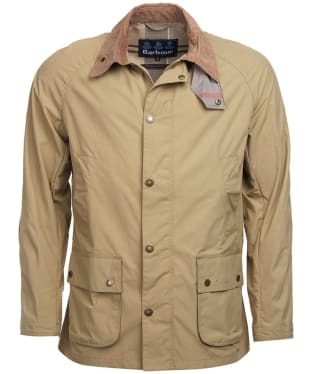 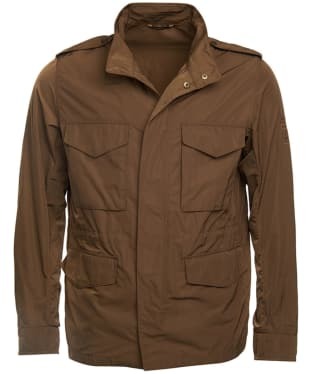 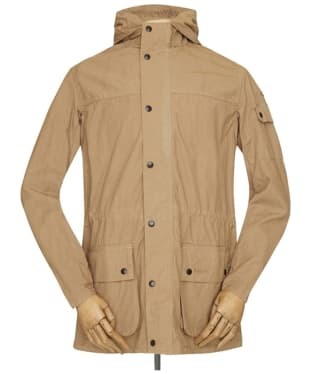 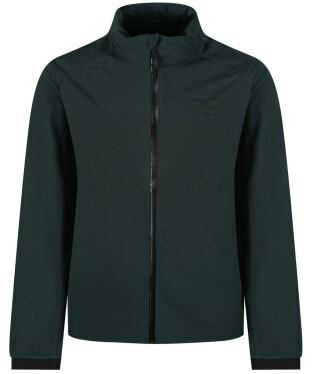 With a lightweight construction that's perfect for the warmer months, it's detailed with four outer pockets, a stand collar with needlecord inner and a two-way front zip with stud-close placket. 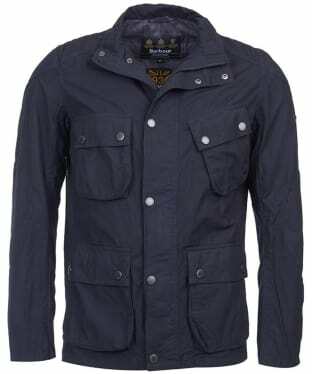 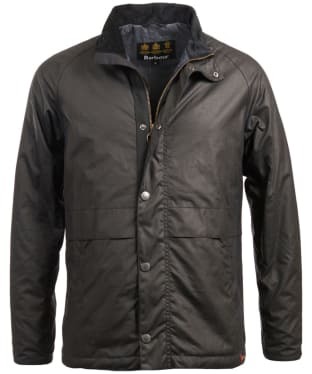 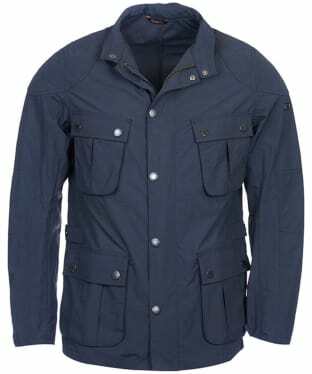 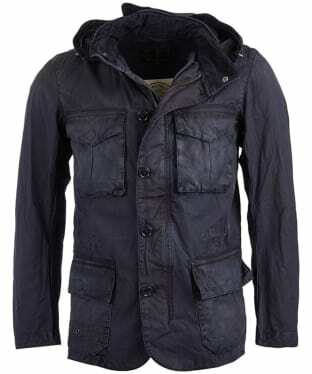 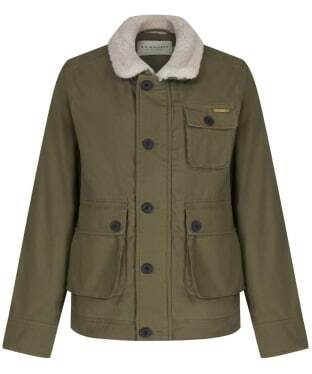 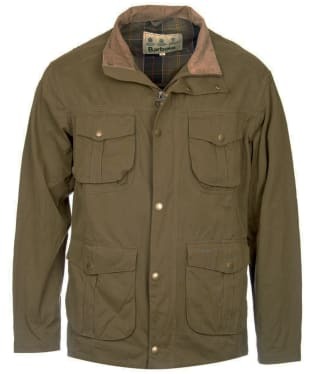 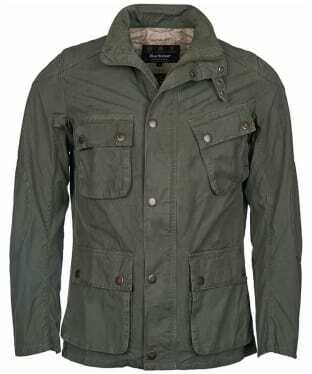 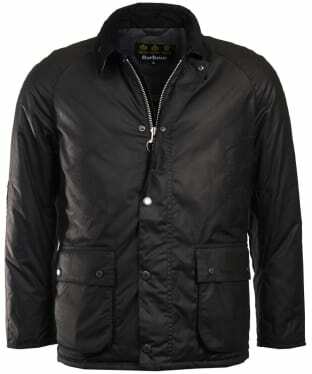 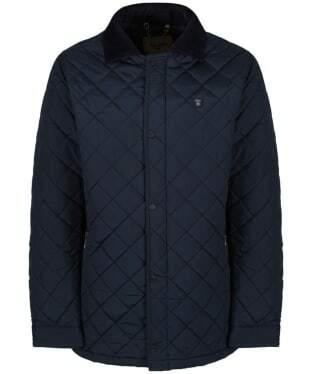 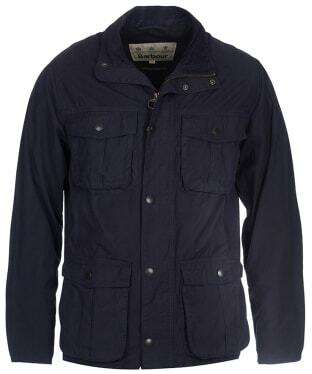 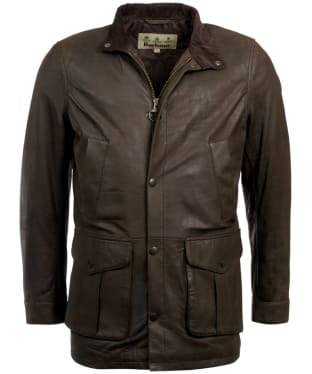 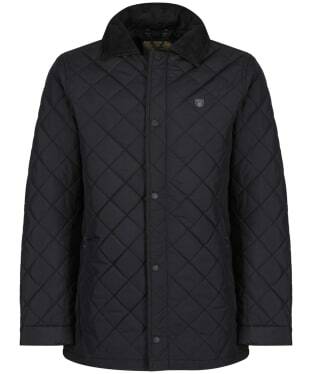 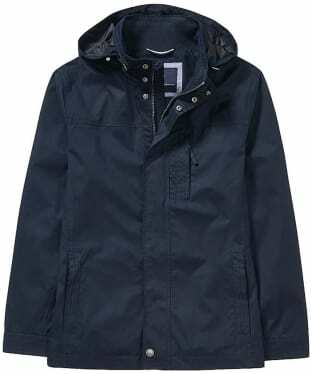 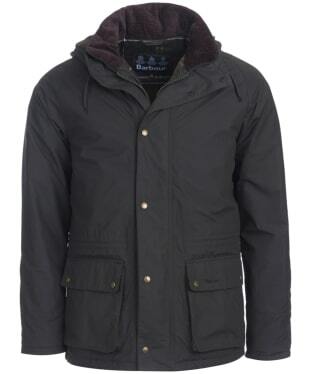 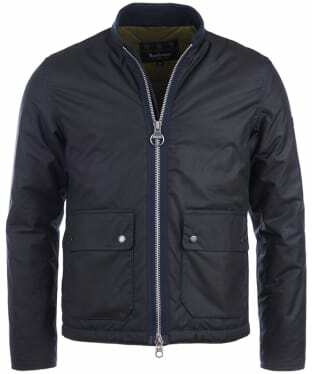 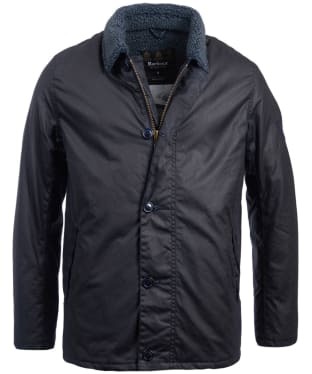 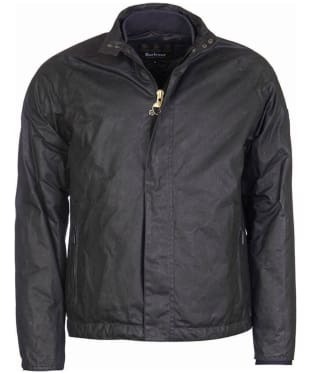 The men's Barbour Solant is a casual, military inspired jacket that is part of the Barbour Greatcoat Collection. 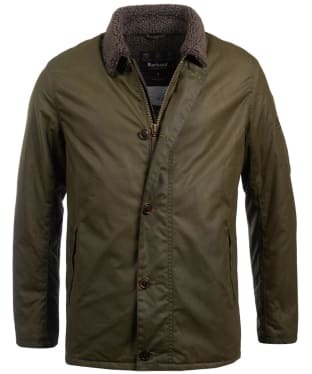 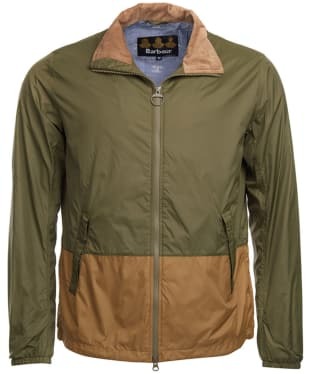 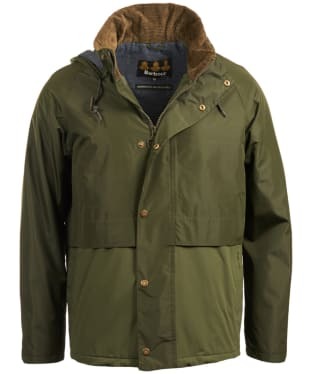 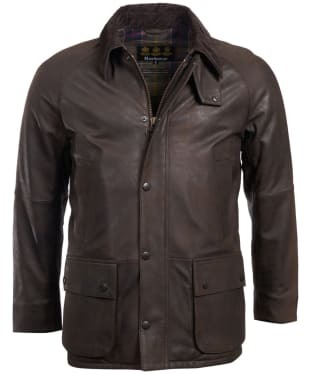 The jacket has a full front Barbour quality zip, covered by a button down storm flap to give the vintage look, as well as protection from the weather. 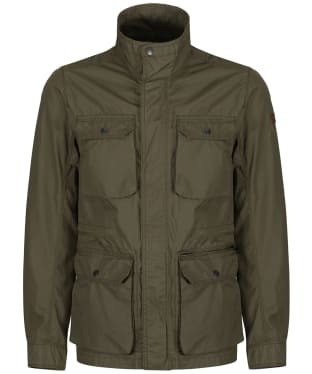 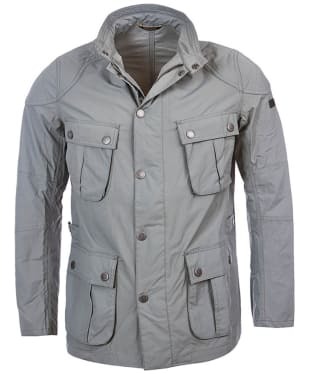 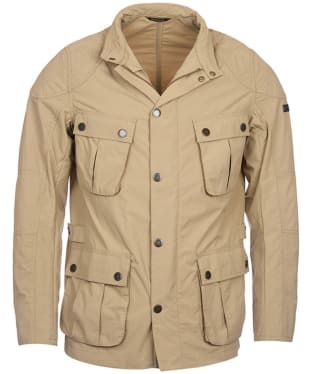 The Solant also has 4 pockets on the outer layer preserving the military look, whilst also being practical. 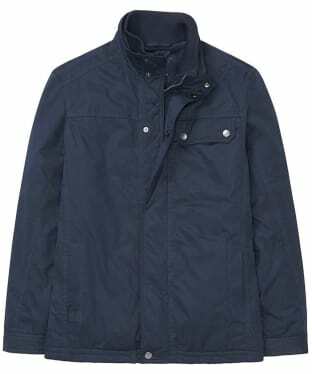 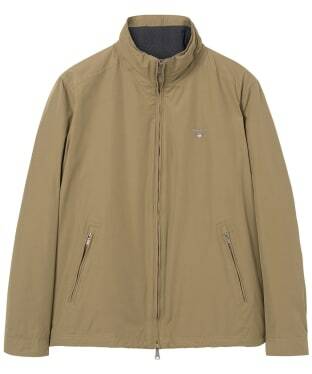 In addition to this, the Solant also has a peaked detachable hood with tunnel collar, lined in corduroy. 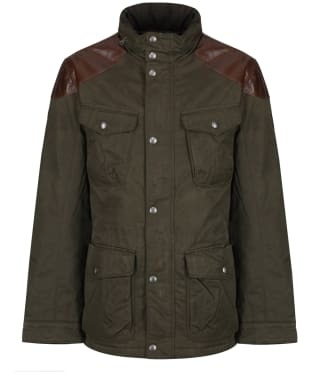 Complete with Greatcoat eyelet branding. 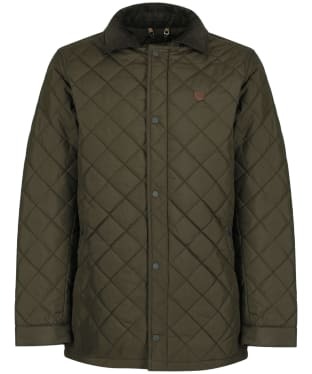 The Solant is crafted from 100% cotton outer layer making it very warm and cosy, as well as a 100% cotton Beacon printed back buggy. 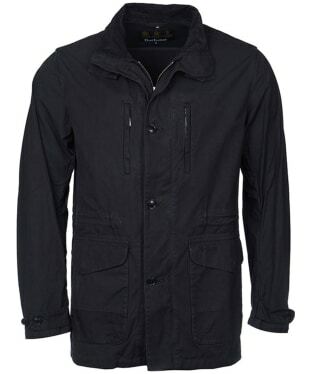 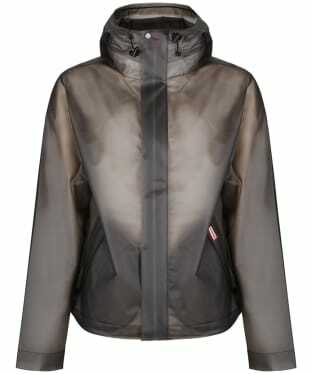 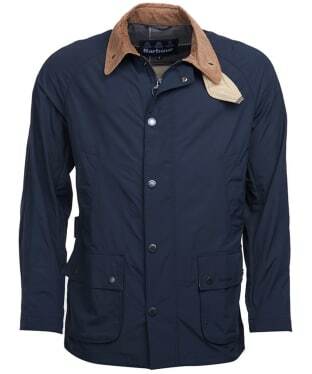 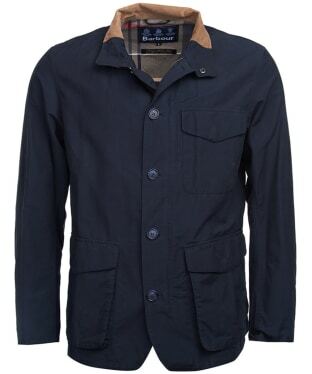 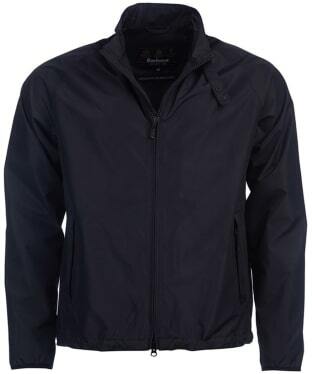 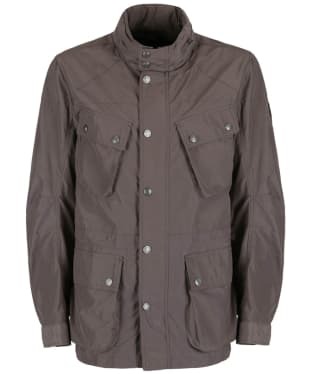 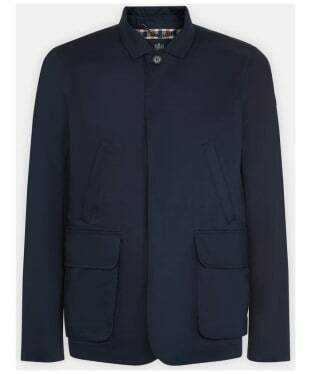 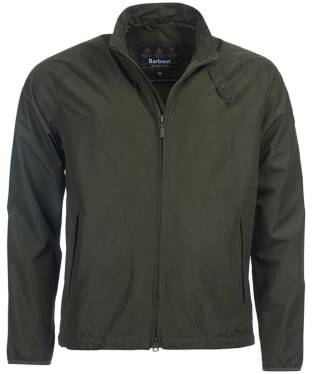 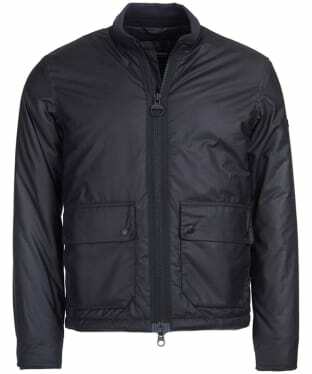 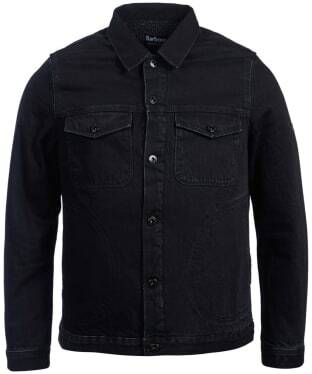 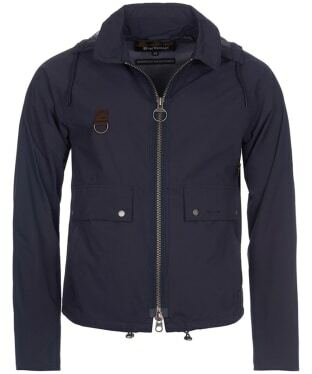 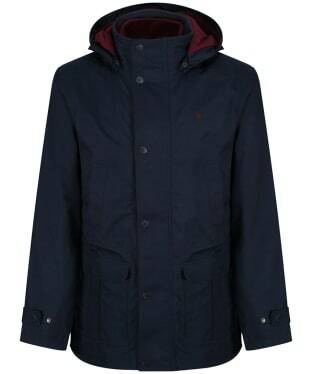 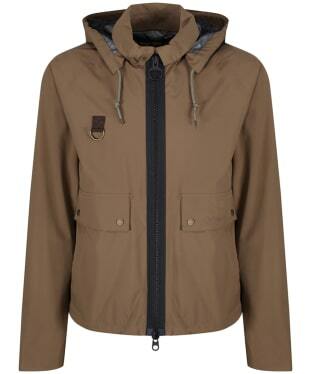 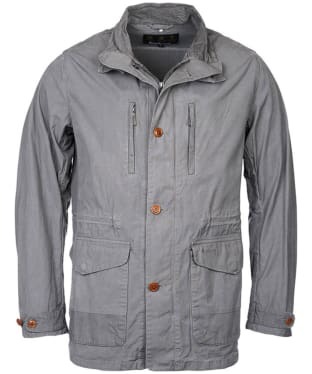 This jacket is machine washable, making it very easy to look after and last, would be great for any casual occasion.